The best way to prevent rain, snow, animals, leaves, debris, and moisture from entering your chimney is to install a chimney cap. 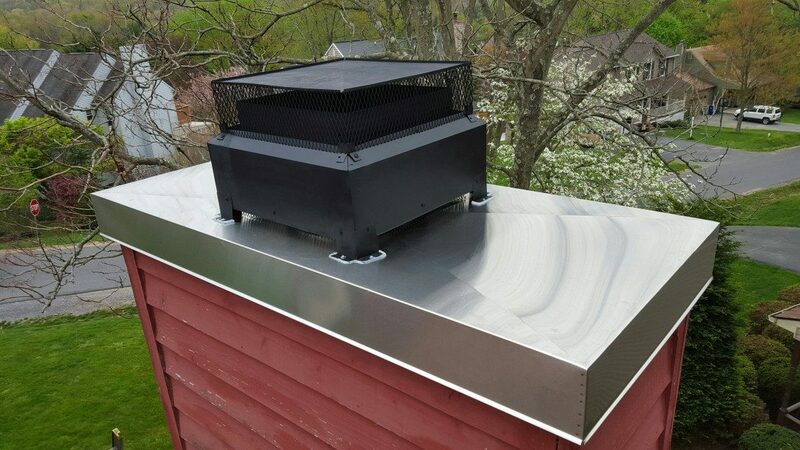 Our high-quality stainless steel chimney caps carry a lifetime warranty. Protect your fireplace, wood stove, and chimney today with a new chimney cap. Faulty chimney chase covers can cause damage to both the interior and exterior of your home. A new chase cover protects your chimney and your fireplace, and keeps unwanted dirt, debris, and critters out. Leaky or damaged chase tops, particularly those made of masonry, are potential hazards for prefabricated, metal fireplaces. 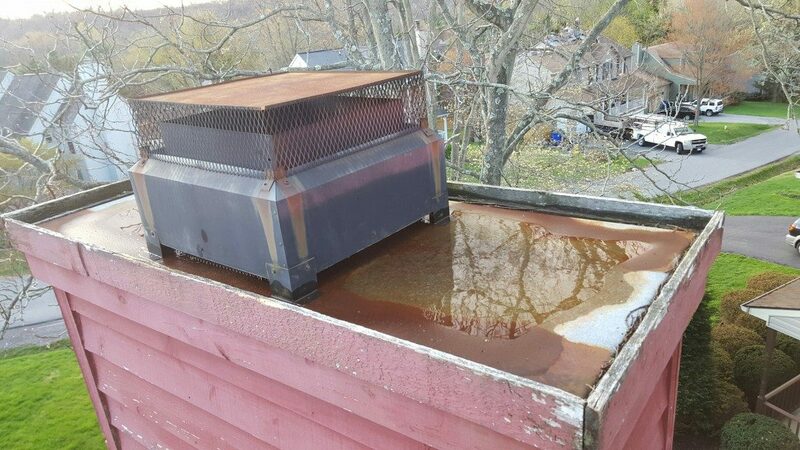 We help eliminate problems before they begin by replacing crumbling masonry or rusty, metal chase tops. We may be able to repair the chase top through sanding, painting and sealing it, to extend it’s life and appearance. 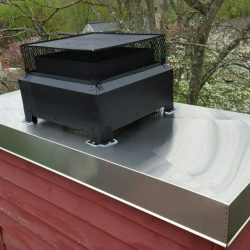 Should your chimney require a new liner, we install high quality stainless steel liners and related components to accommodate wood burning, oil and gas appliances or fireplaces. When necessary, we often install custom-made components to ensure an exceptional result. 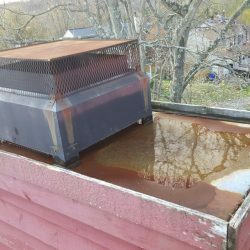 All of our liners carry a LIFETIME WARRANTY and are transferable to the next homeowner, provided you have your new liner inspected once a year and have a certified chimney technician sign the warranty form provided. Let us make your unsightly, damaged, or rusted chase cover look new again! Our chase cover refurbishment can breathe new life into your chimney area! 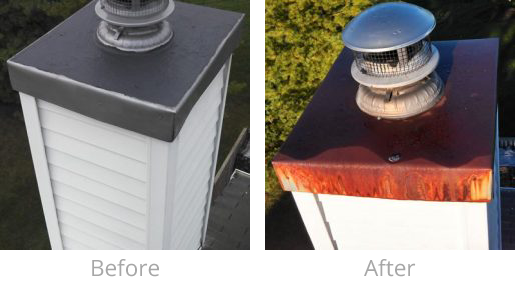 If your chase cover needs to be completely replaced, Chimney Care Plus can help! Not only is an old, worn, or damaged chase cover unattractive, it can also cause damage to your home. Get your chase cover replaced today, give us a call to get started!